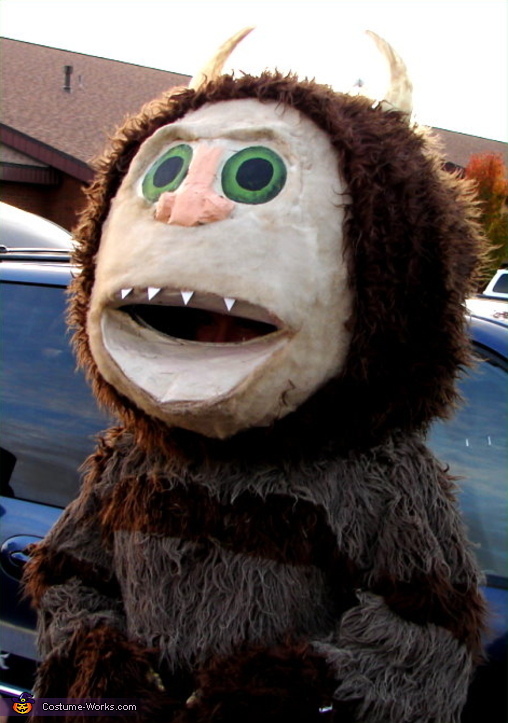 This is Bryan as Carol from the Book and Movie "Where the Wild Things Are". This Costume's creator, Bryan, (with a lil help from his wife Ü) made Carol's head of Paper Mache... and the fur from a couple of Blankets spray painted for the stripe effect. Then Feathers were added to legs. Thank you for the fantastic Costume. Carol obviously required talent and lots of work to build.